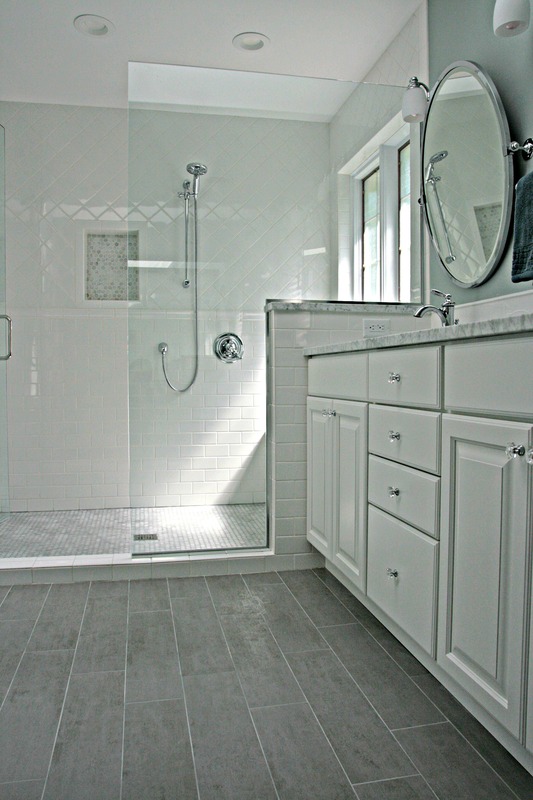 White subway tile, carrara marble, heated flooring, quartz tops, heavy glass shower door and Brizo handheld shower spray. The white bathroom with subway tile and white carrara marble…it was elegant years ago and totally elegant today. It is a classic. The before pictures reveal the change in demands from families today. 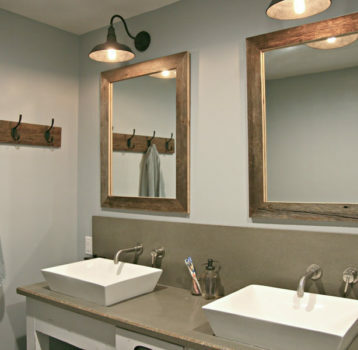 Shower space is coveted now whereas tub space was coveted before. To create the spa shower without moving plumbing for the toilet and double bowl sinks, the shower is moved to the former tub space. Fully tiled and a custom bench topped with carrara marble ground this space now equipped with traditional shower head as well as a handheld on separate valves. 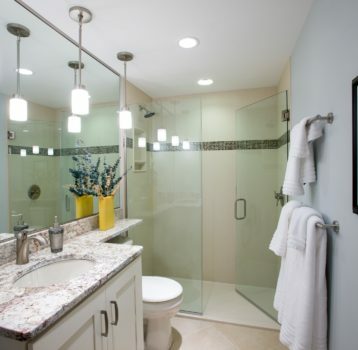 Heavy glass allows the sun to shine throughout the bathroom. This master bathroom had ample space but certainly feels more spacious with the dividing wall and door separating shower and toilet space from the rest of the bathroom now removed. The original garden tub is downsized slightly, but jetted function is not sacrificed. 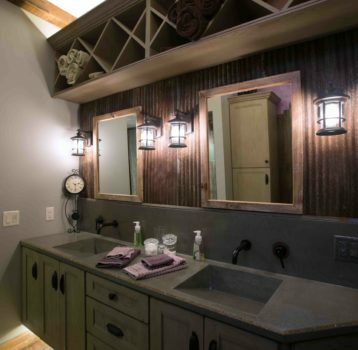 Lighting is updated throughout although the natural light through windows and existing skylight still steal the show.